In my first article on this site I wrote that to be effective, companies like MakeTime need to operate as an Honest Broker between manufacturers and their supply network. I’ll use this article to describe the details of what I think it means to be an Honest Broker. Members of the seller’s organization, i.e. sales and/or marketing personnel. Independent Agents who charge a fee to their manufacturer client when they bring in new business. Organizations that operate much like Independent Agents, but also offer wider visibility to each party and unique forms of facilitation between sellers and buyers. The costs associated with the approach outlined in Point 1.) are primarily made up of internal salaries, benefits and travel expenses. The fees associated with Points 2.) and 3.) are primarily made up of a percentage of the agreed upon price and are primarily paid by the manufacturer client, although in some cases the buyer also participates. Integrity is telling yourself the truth, while honesty is telling the truth to other people. A lie will eventually be discovered while truth has endurance. Following the path of least resistance is what makes both men and rivers crooked (my favorite). I think we can agree there is a definitive link between honesty and ethics. If you have favorite quotes regarding honesty and would like to share them with other readers, feel free to do so through the comment section found at the end of this article. Never promise something that they know is factually not likely to be delivered. Never favor either side of a transaction, since each is looking for a “best fit” win-win result. Involve themselves in the execution of the transactions they’ve set-up to ensure their successful completion. Have knowledge and resources that define/enhance their value proposition as a transaction intermediary. I believe that in the coming years buyers will recognize that the third category of Broker outlined here has a major role to play in optimizing the manufacturing sourcing process. In evaluating firms to test out this innovative approach to source selection it’s pretty clear to me that the first criteria should be that the one(s) selected fit the description of an Honest Broker. Along these same lines, I believe that supply chain manufacturers will realize that this third category of Broker also has advantages over more traditional approaches to marketing. When supply chain manufacturers want to check out this approach, my first advice would be to ensure they deal with — and work collaboratively — with a firm that could be considered an Honest Broker. MakeTime’s data collection and tech involvement safeguard from over promising and under delivering. Collecting data on their suppliers and their individual capabilities increases MakeTime’s accuracy as they match part orders to machine shops. MakeTime’s pricing model ensures fairness for both buyer and supplier. MakeTime uses data and machine learning to make sure that production pricing is as ideal as possible for both parties. MakeTime manages all production so that the transaction is smooth for both manufacturer and machinist. MakeTimes puts priority on sourcing locally, and offers greater visibility into local production capacity. 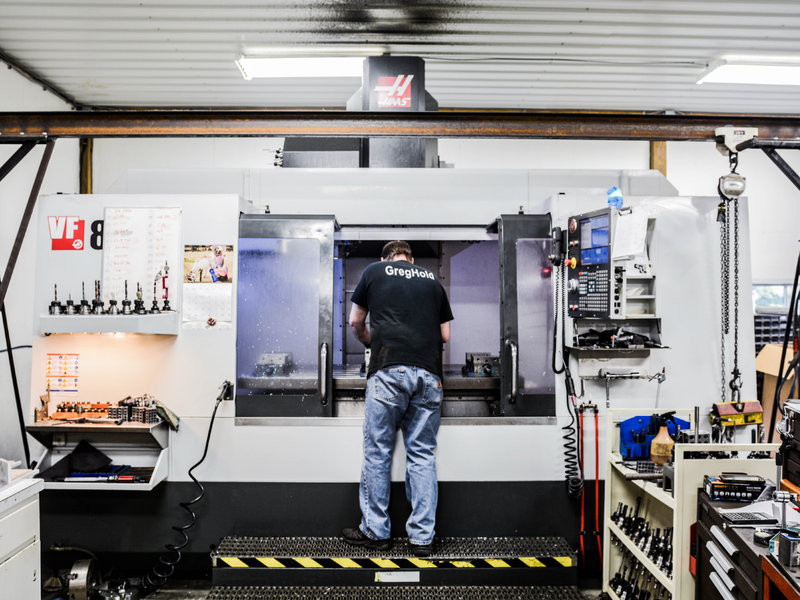 Efforts to boost the manufacturing community, like the Shop Advantage program, also show their value commitment to the future of U.S. manufacturing. My next article will focus on how Honest Brokers can play a pivotal role in reviving the health of U.S. manufacturing. Learn more about Paul Ericksen and his over 40 years in the manufacturing industry here.